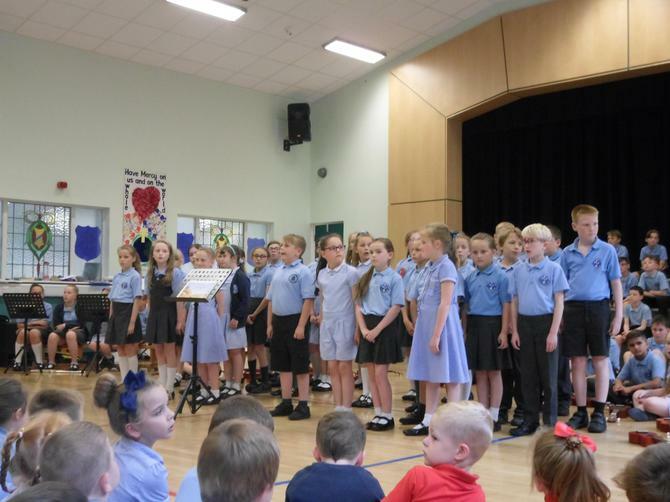 We are very proud to have received the following Music Mark for our school. 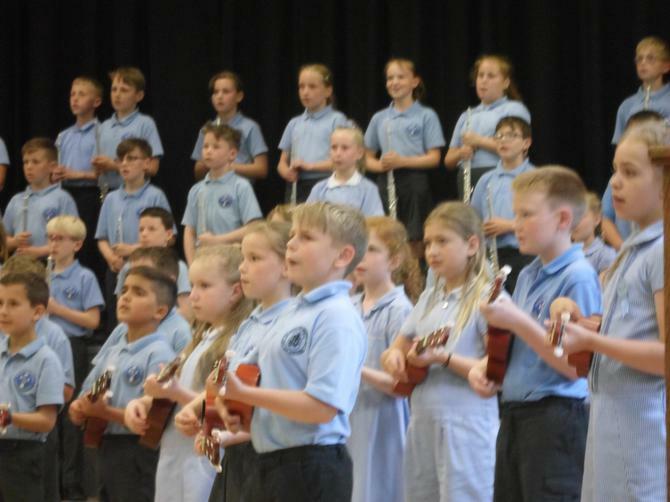 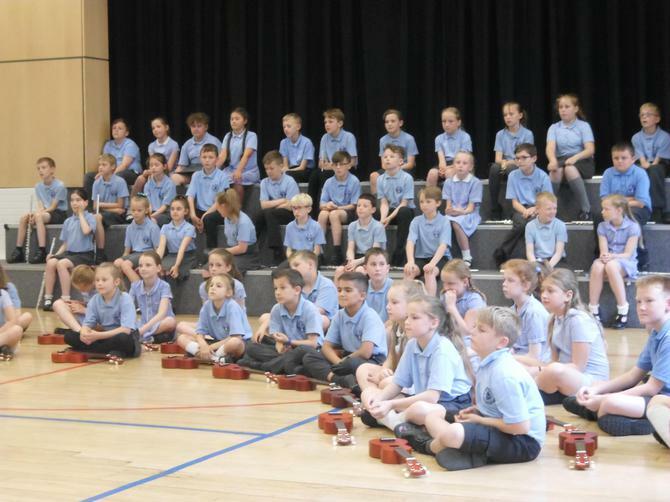 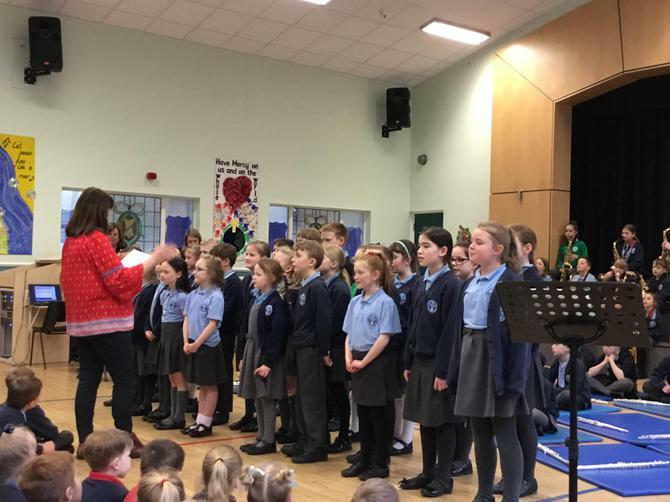 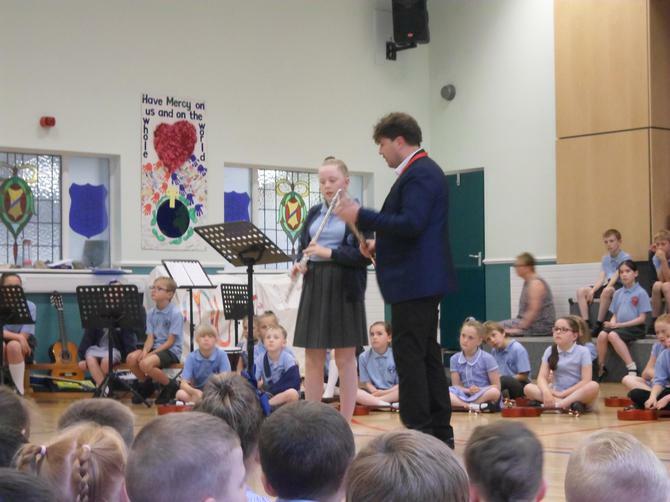 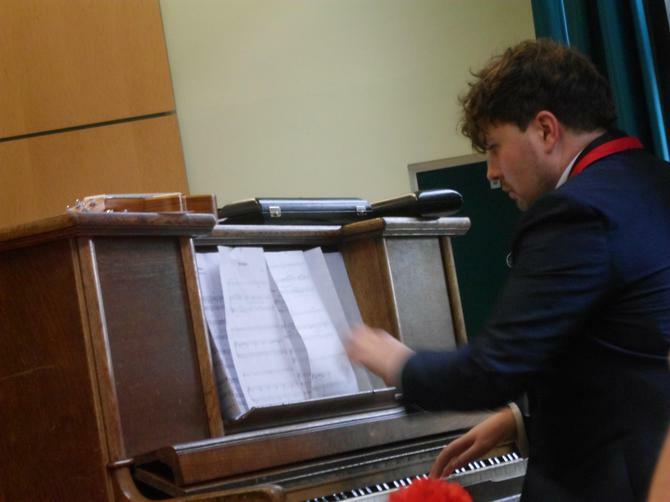 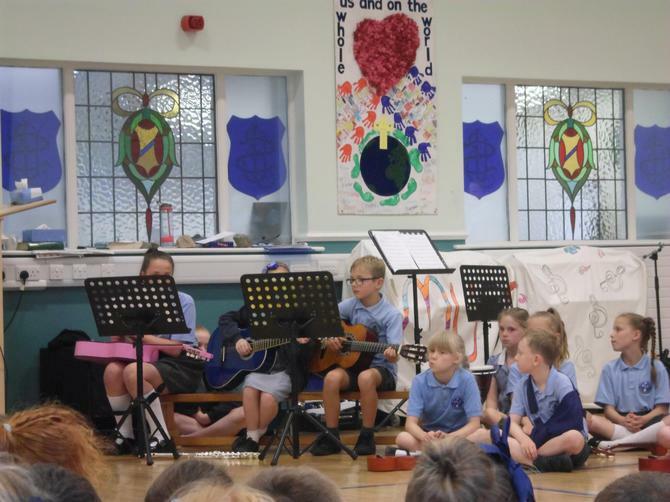 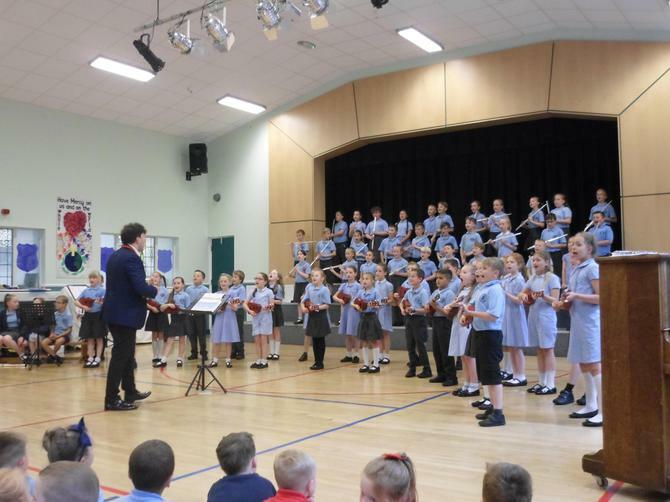 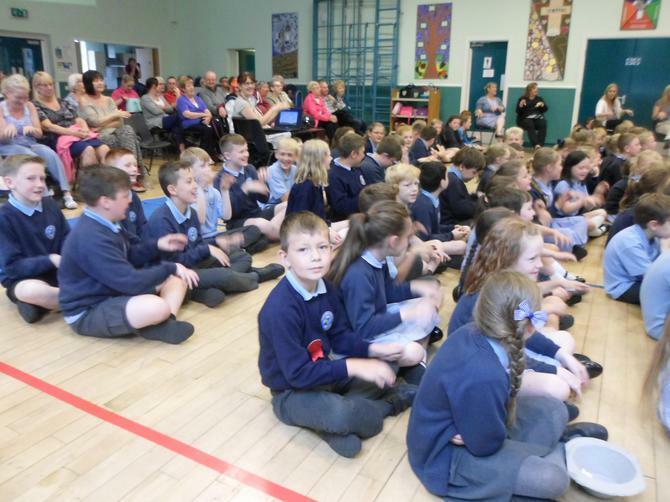 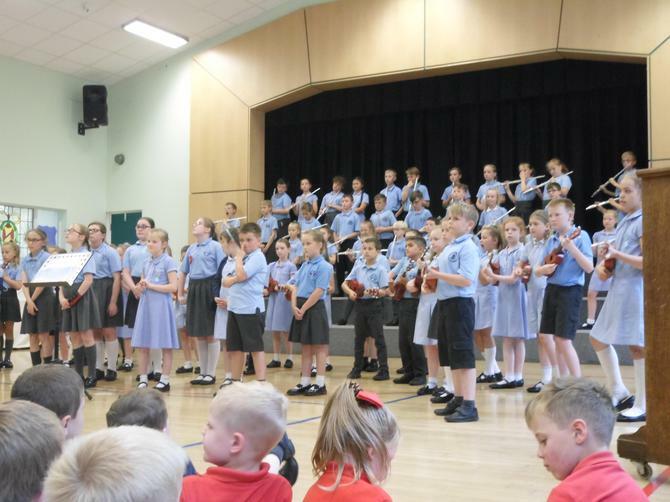 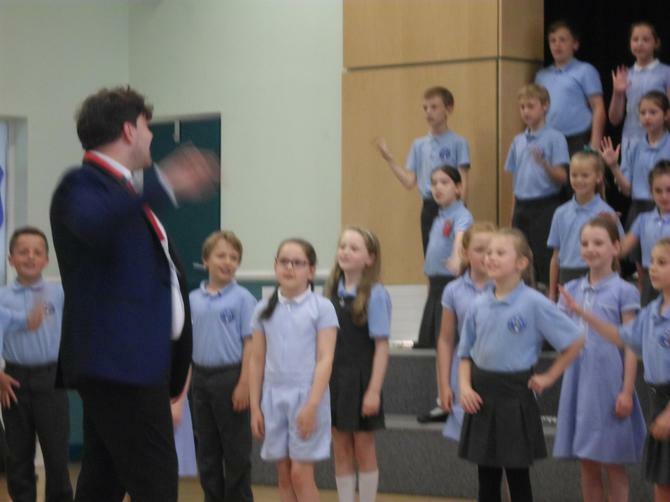 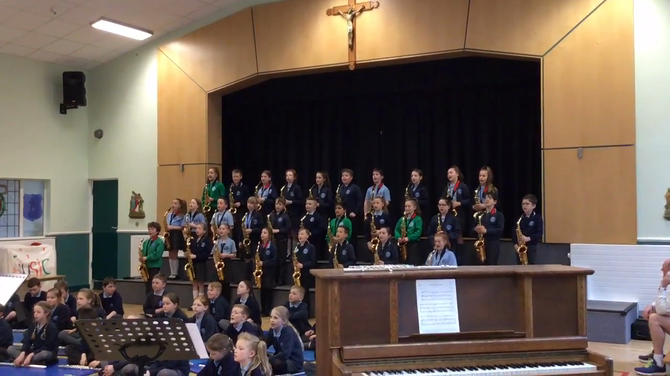 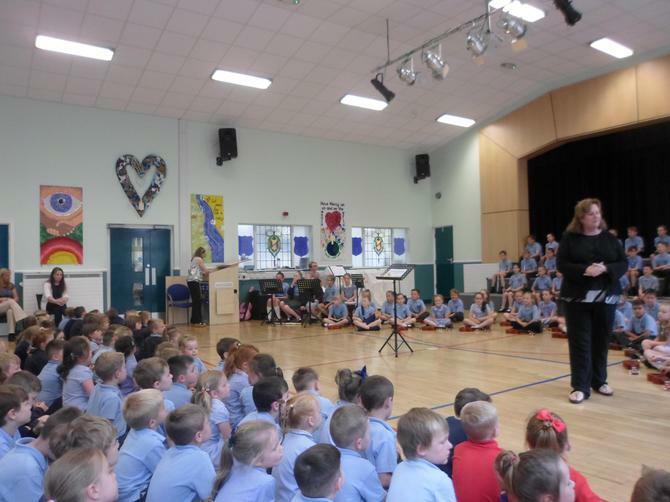 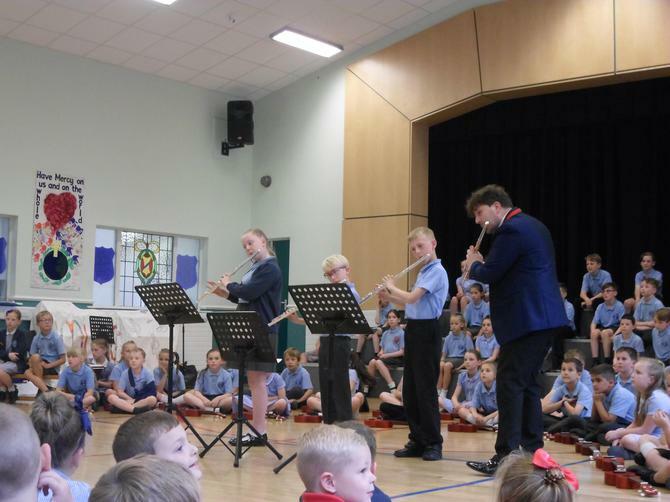 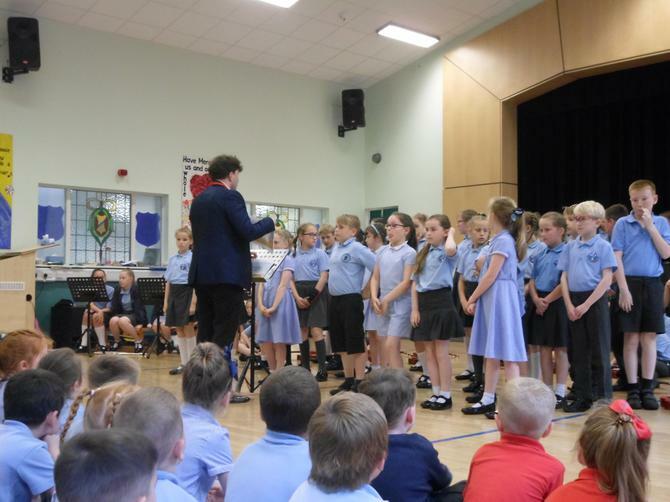 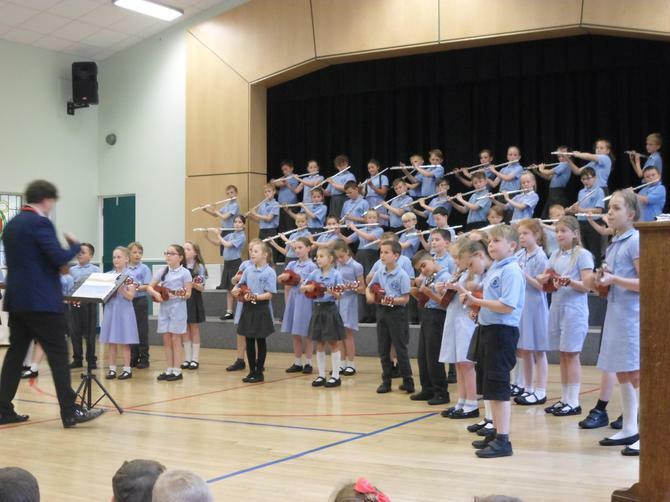 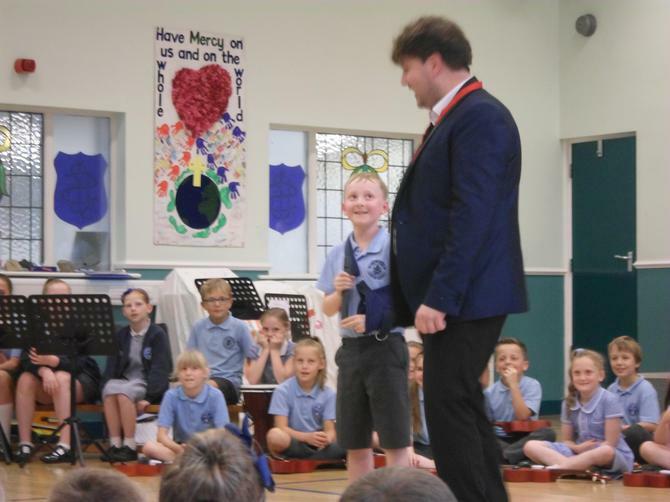 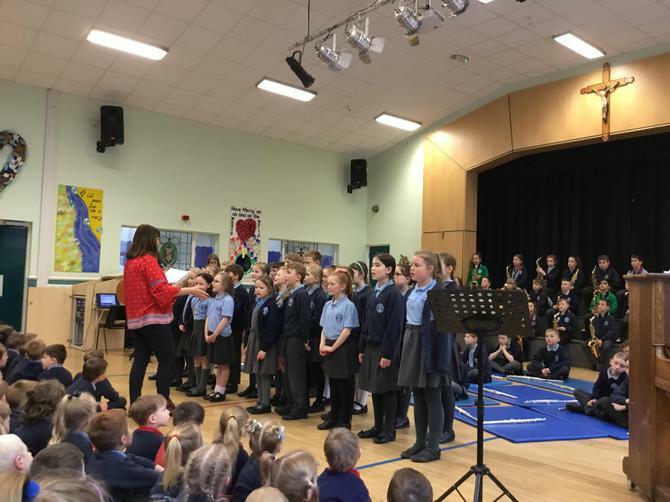 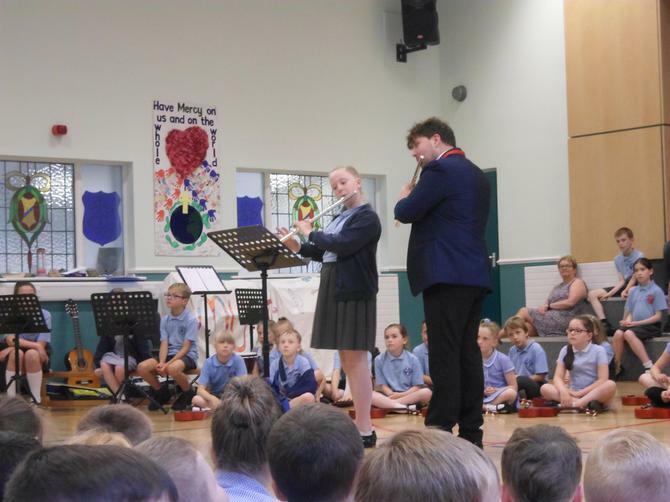 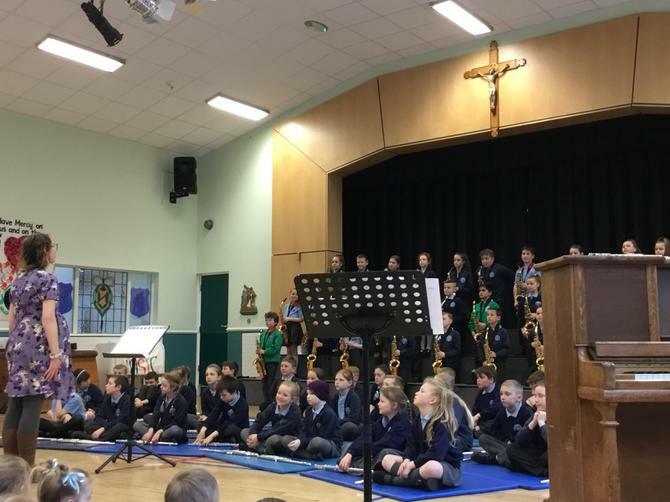 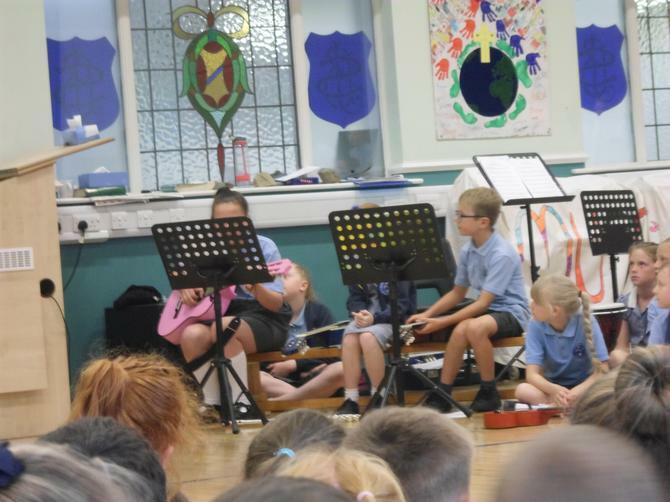 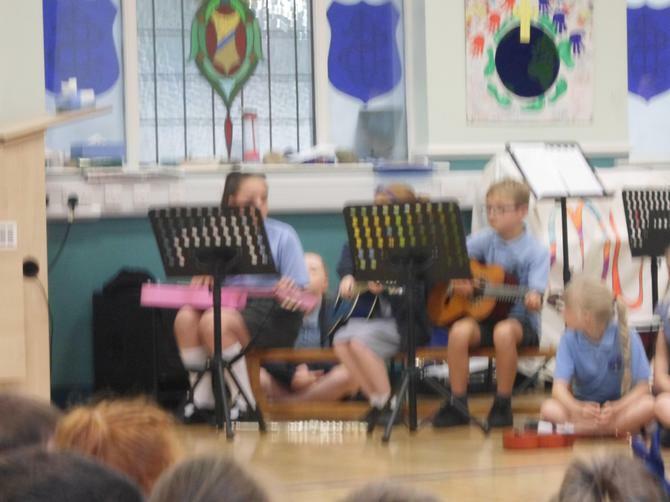 Families and children were treated to another afternoon of talent from our musical children. 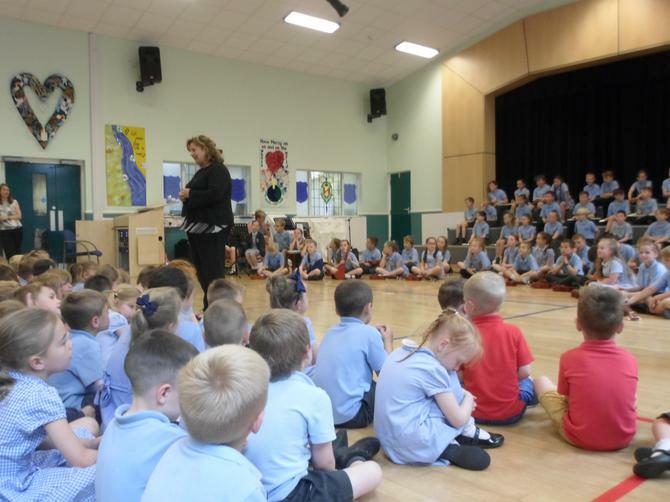 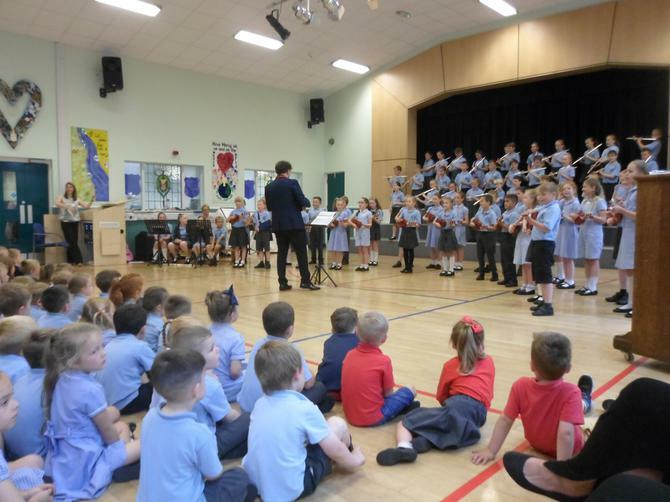 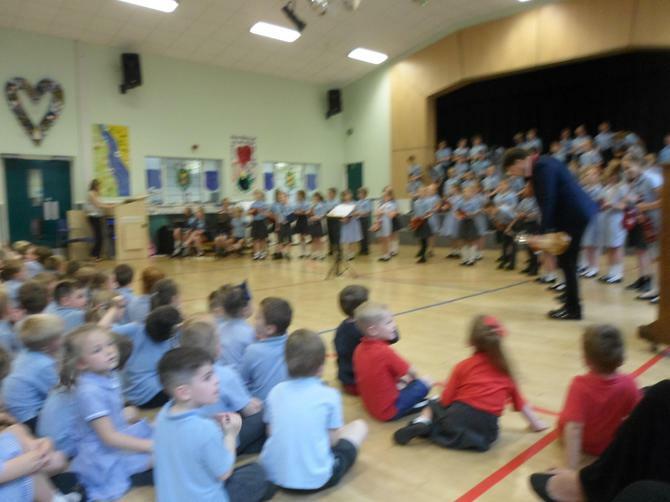 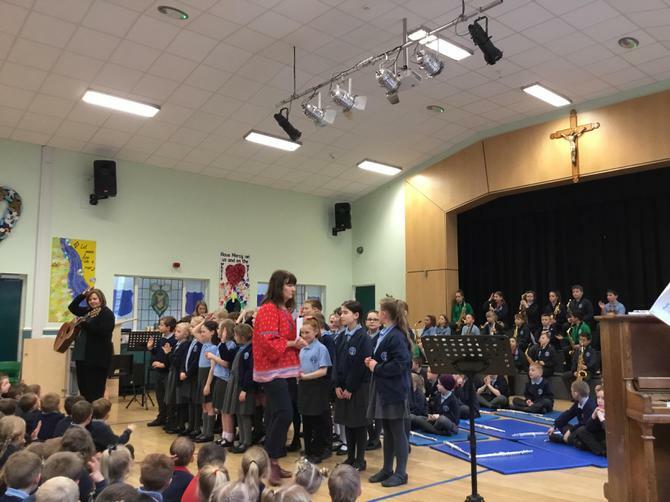 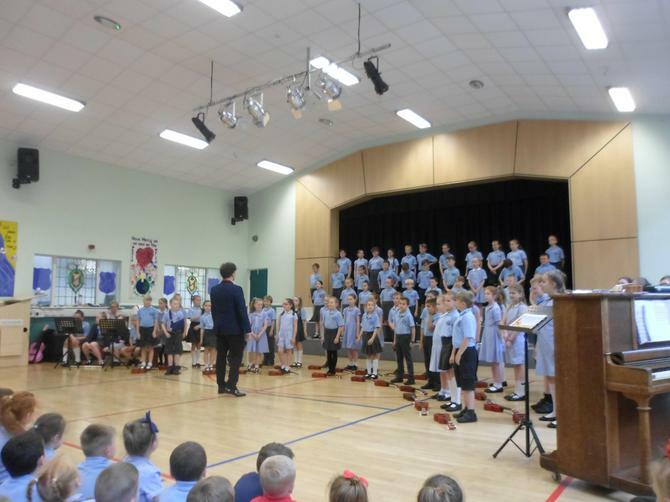 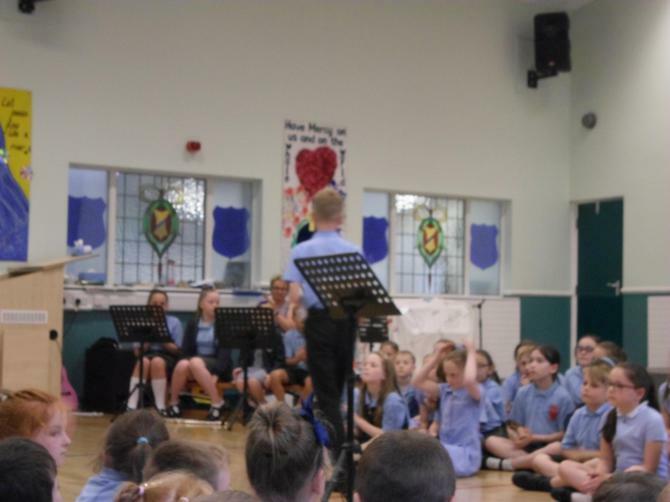 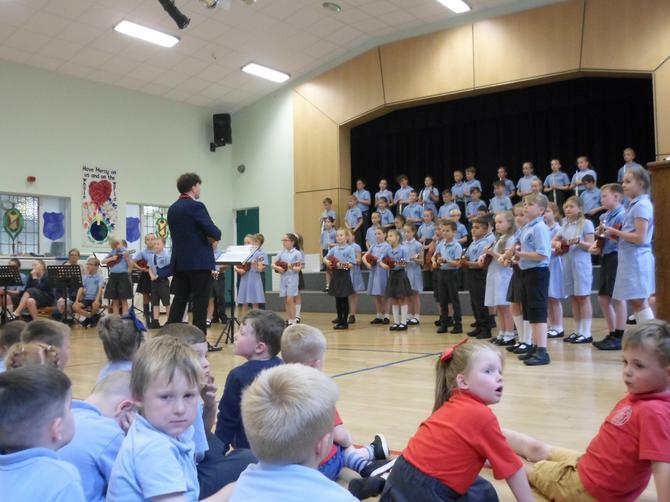 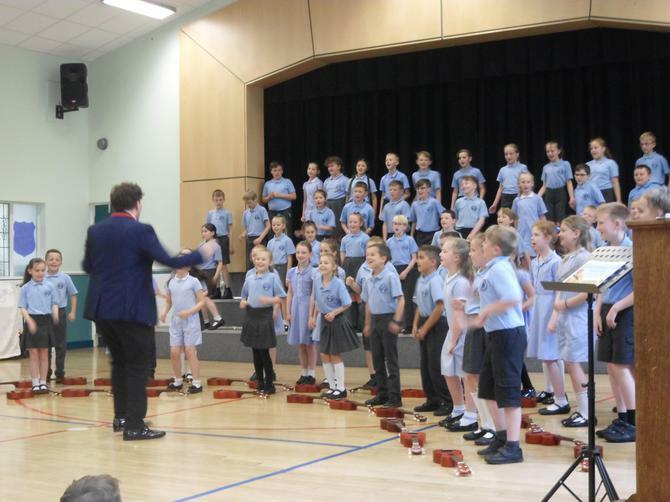 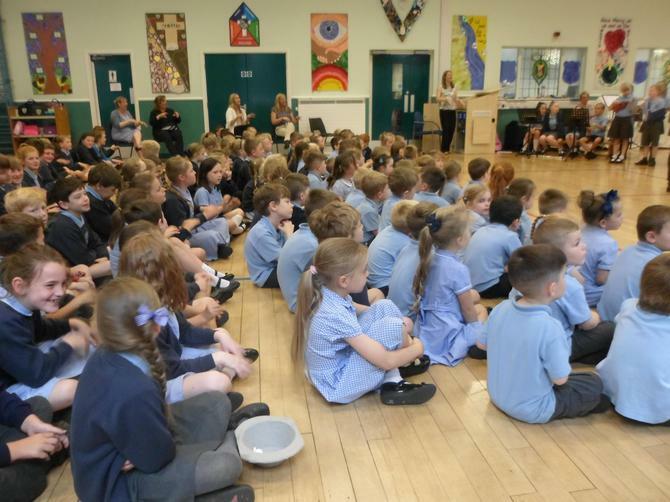 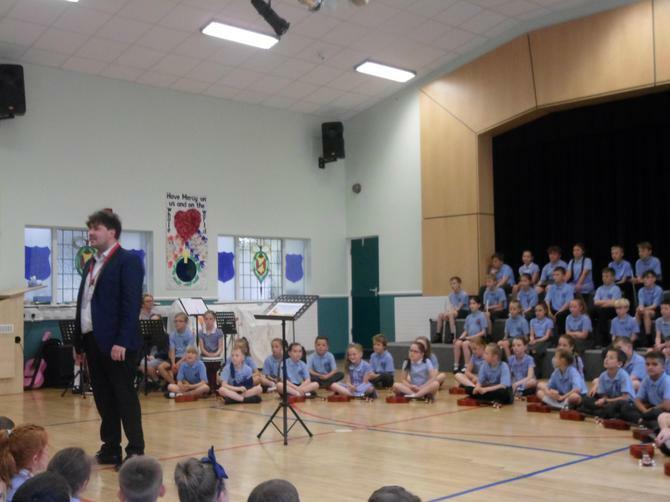 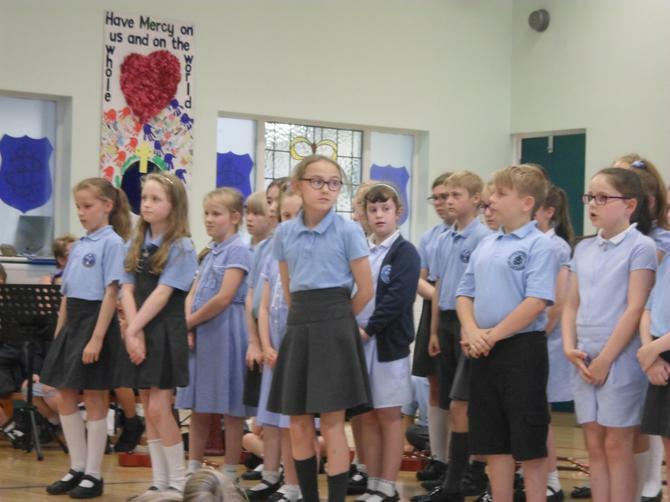 We were entertained by children from KS2 and KS1 who were singing and playing various instruments. 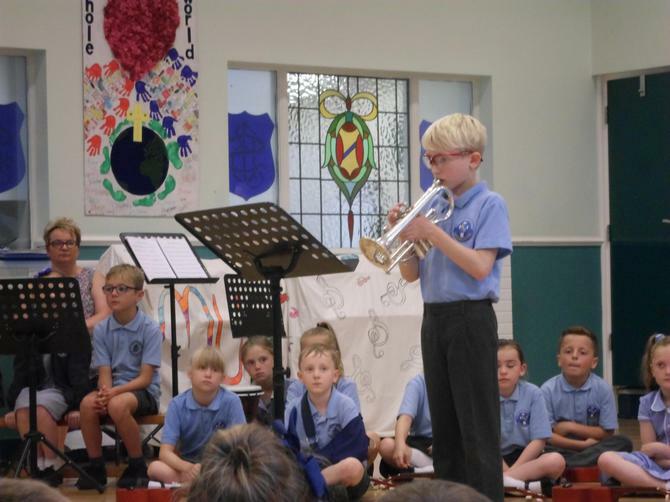 From cornet to flute! 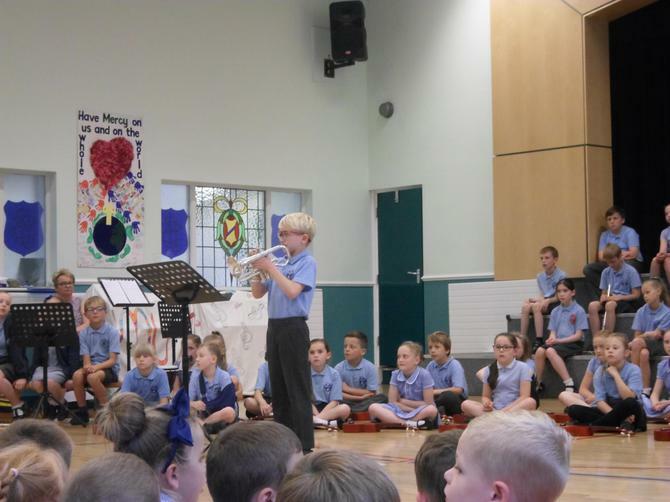 An amazing talent! 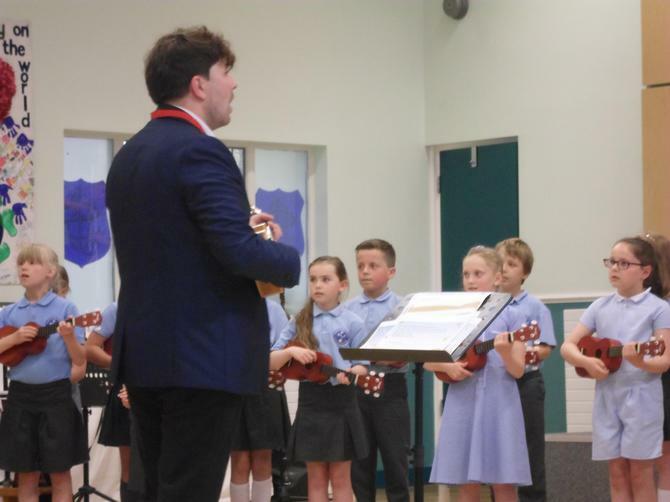 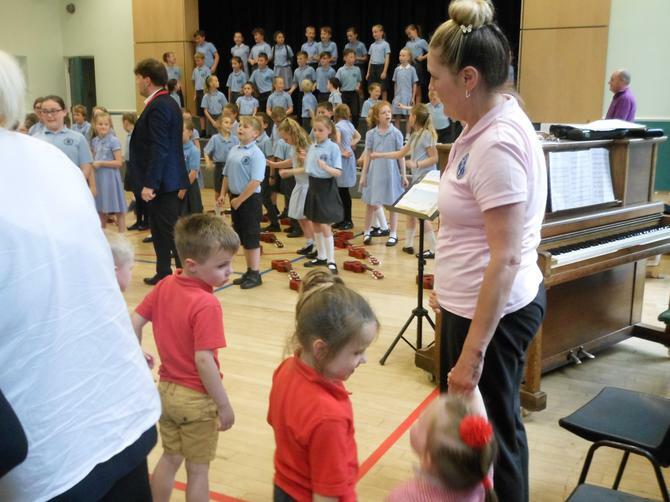 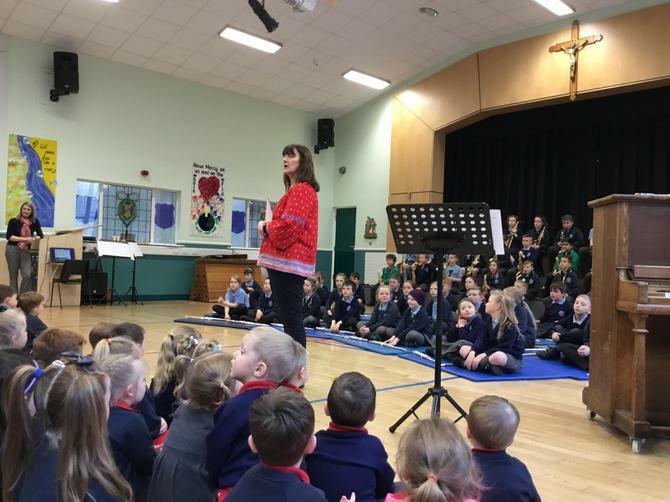 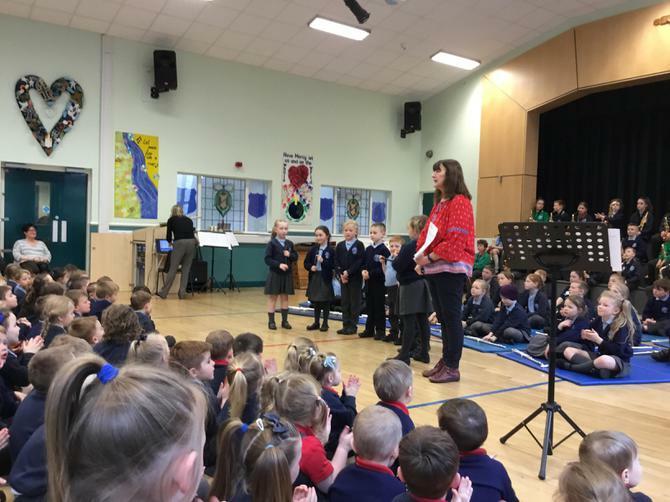 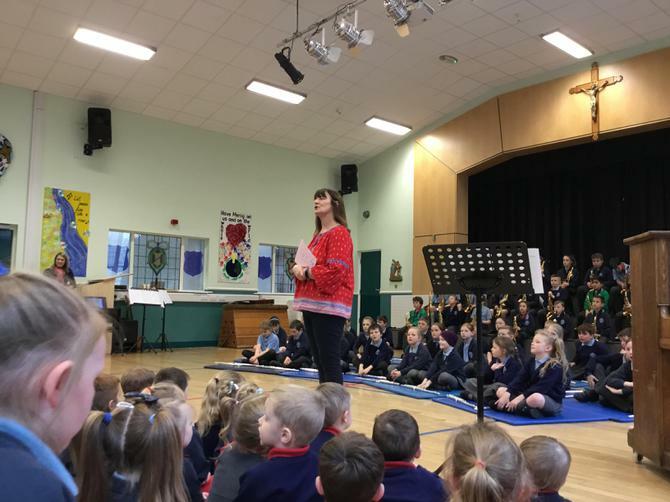 Wednesday afternoons at school are very musical as Mrs Fletcher arrives from Lancashire Music Service to teach whole class music through the Wider Opportunities Scheme. 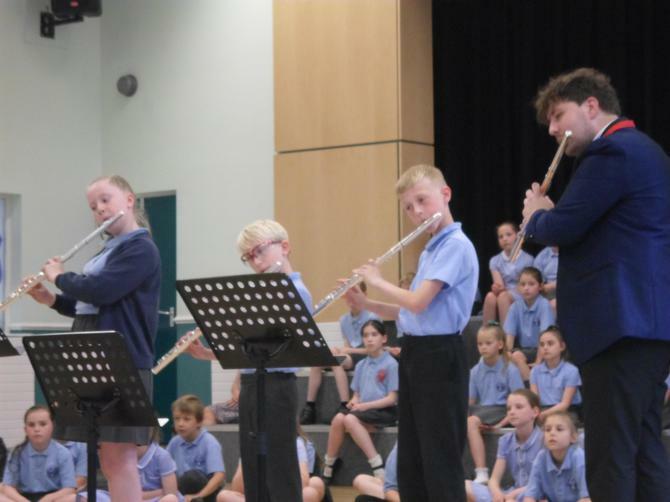 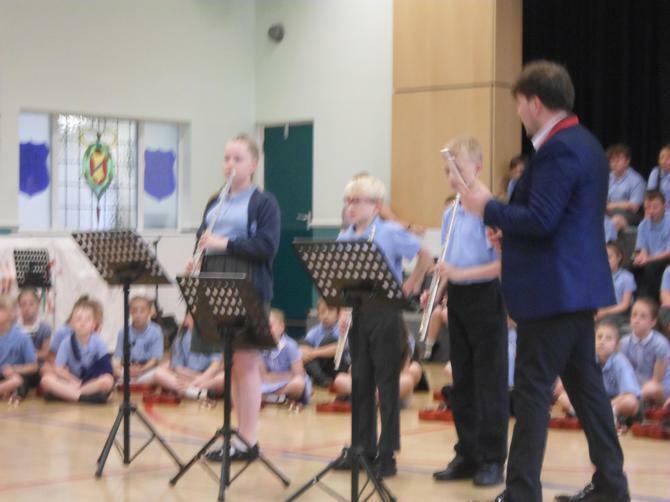 Children in Year 5 are enjoying their second year of WOPPS and are now very proficient at playing their flutes. 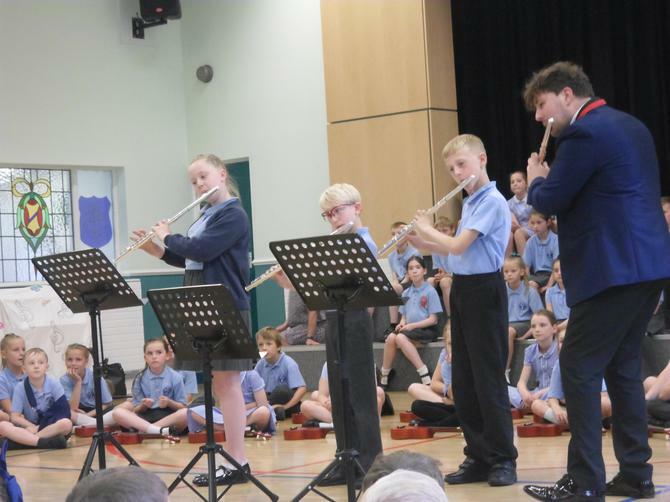 They are beginning to play a wider range of notes with an improving tone. 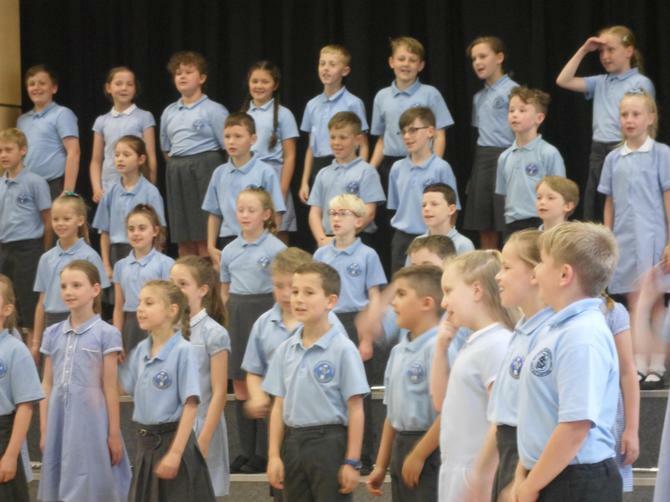 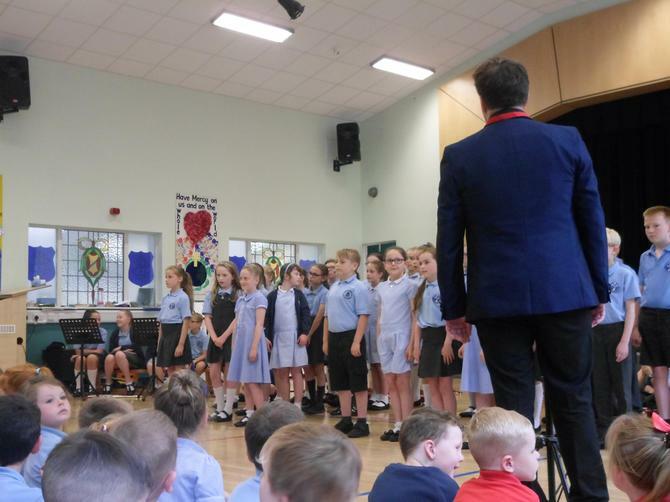 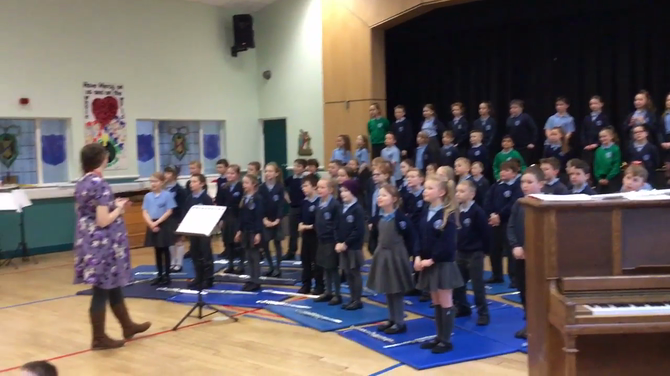 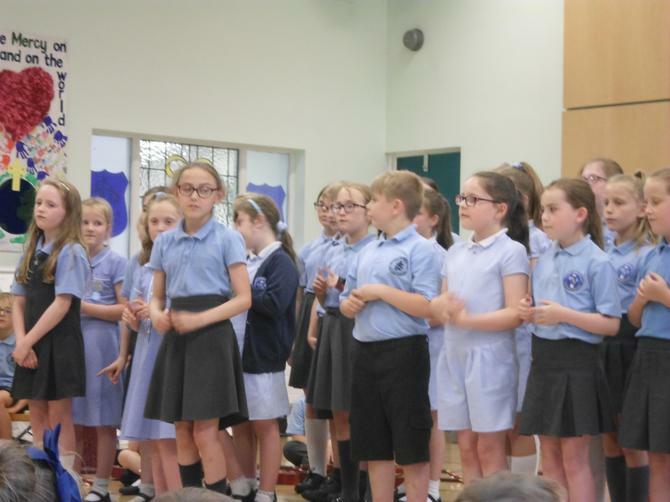 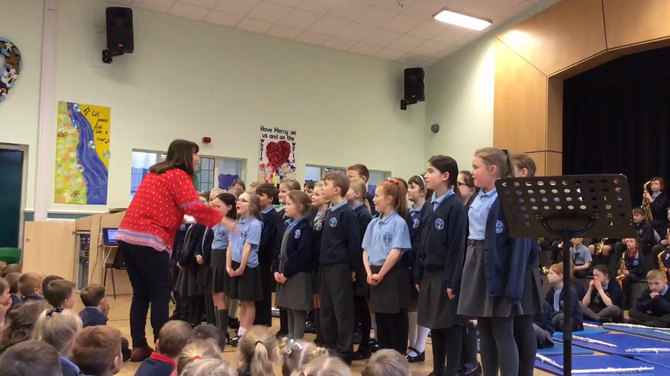 Children in Year 5 are also now proficient singers and can sing with clarity and expression. 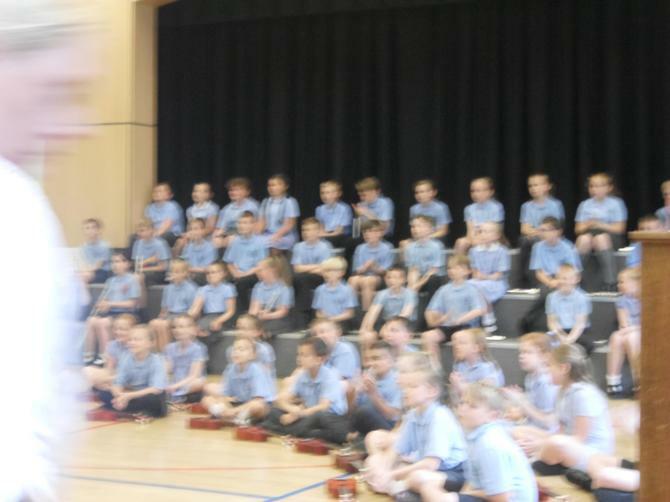 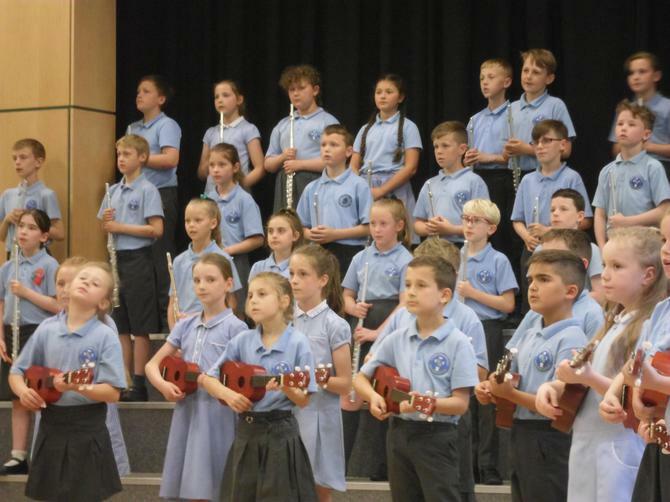 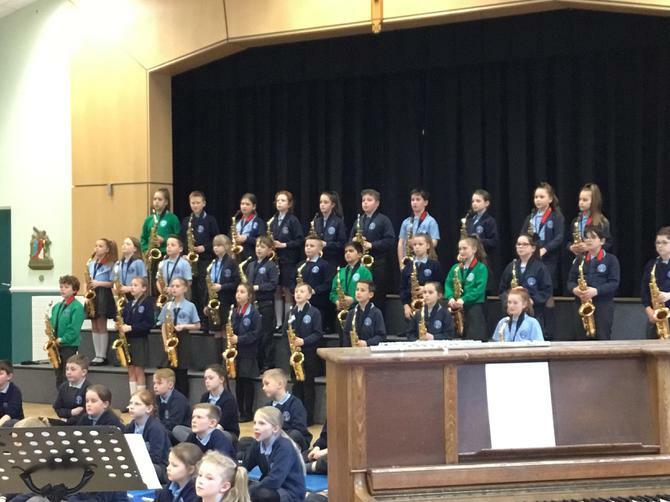 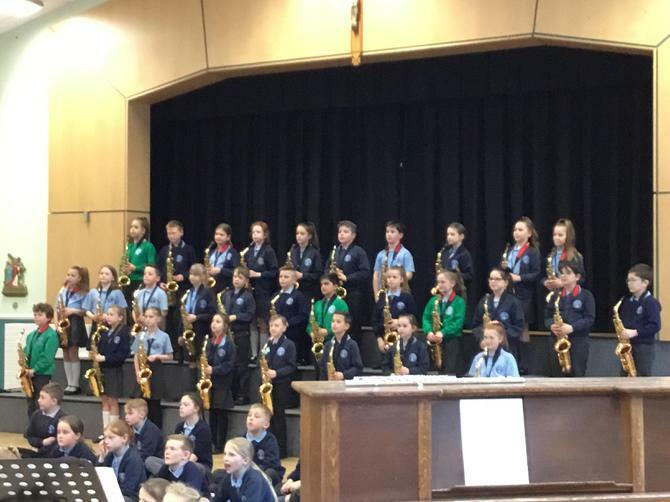 Keep practicing Year 5, you are becoming super musicians! 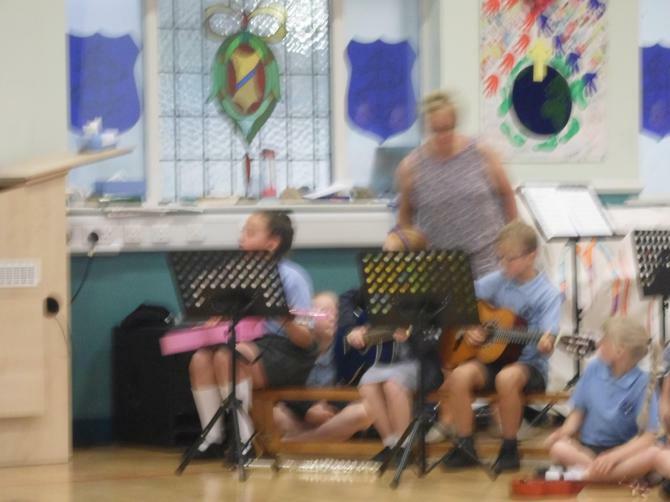 Mrs Fletcher also spends an hour with Year 4. 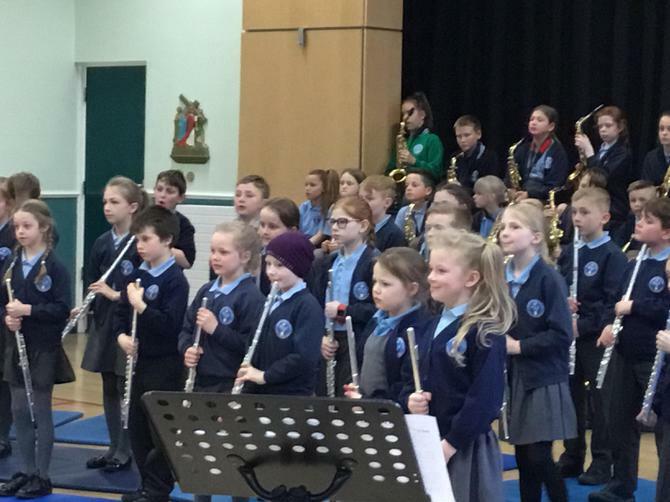 These children are getting to grips with their clarinets. 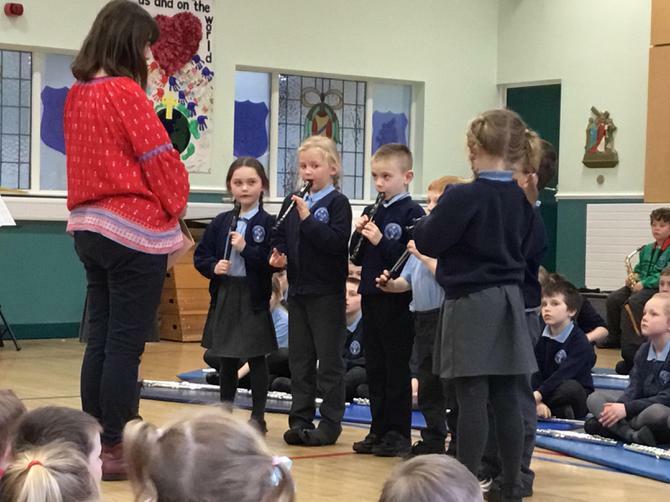 Keeping the reed nice is difficult and squeaks will be quite common to begin with! 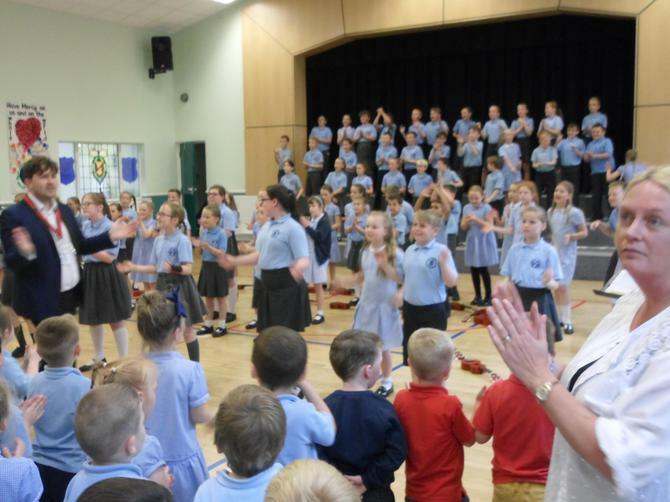 They also enjoy warm up games and sing songs with clarity and expression. 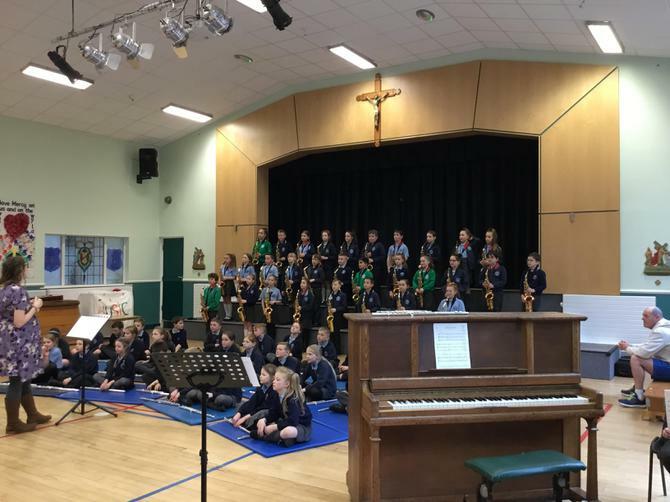 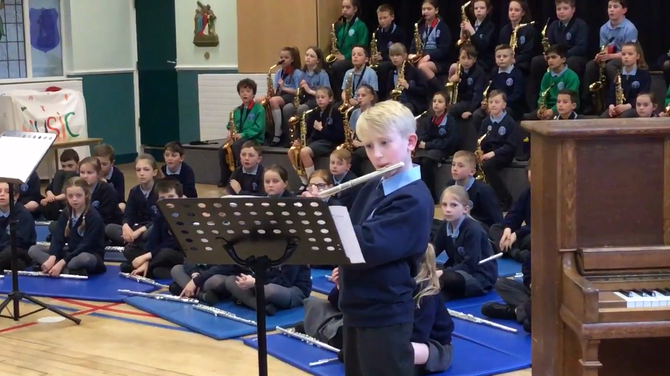 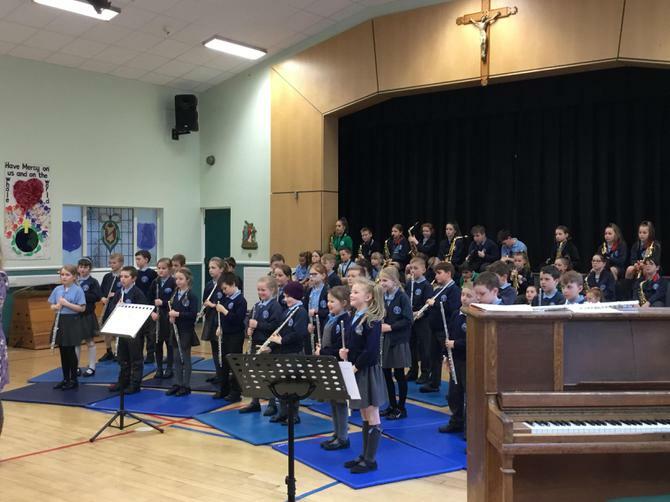 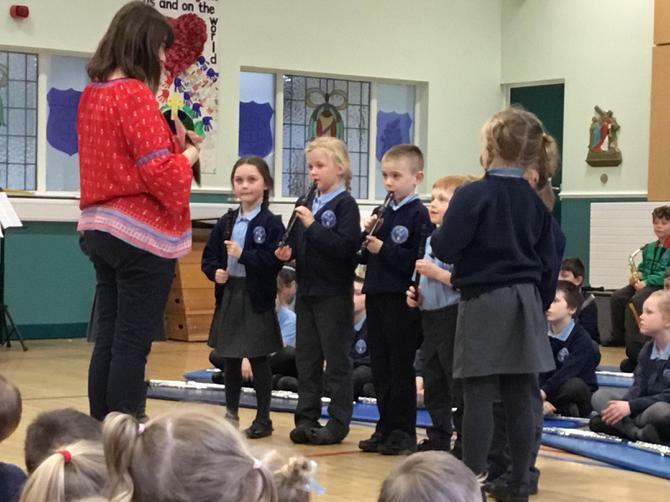 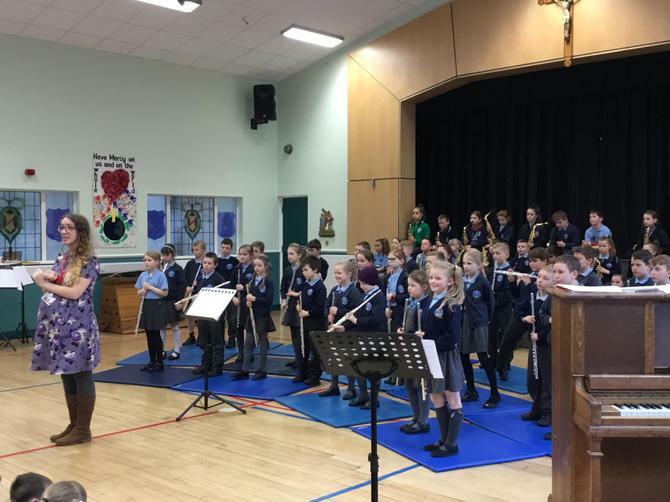 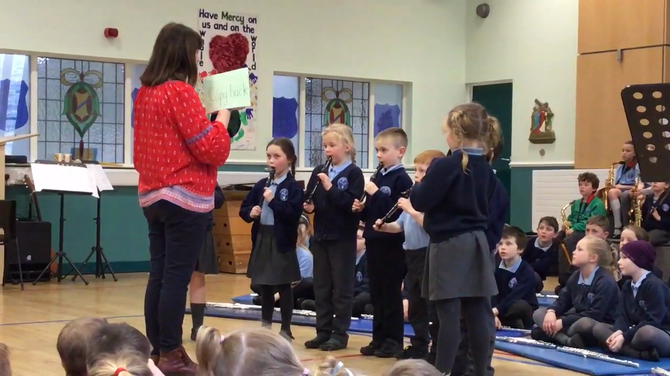 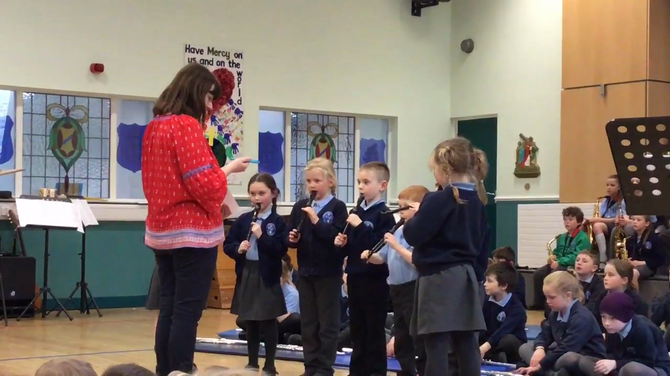 Thanks to all families for supporting Year 4 children when they practice their clarinets. 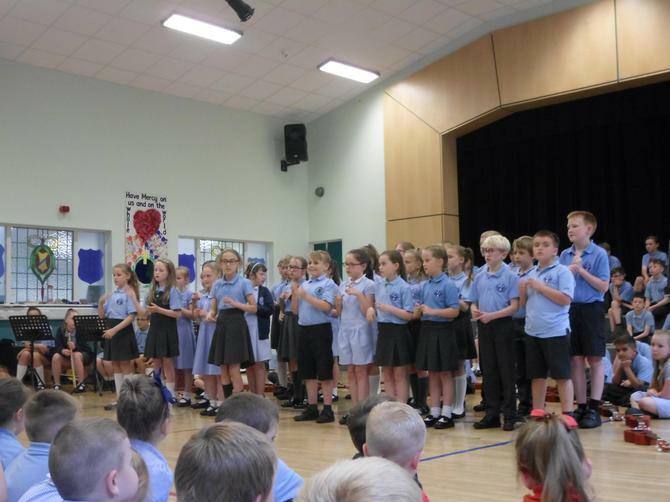 They will get better soon! 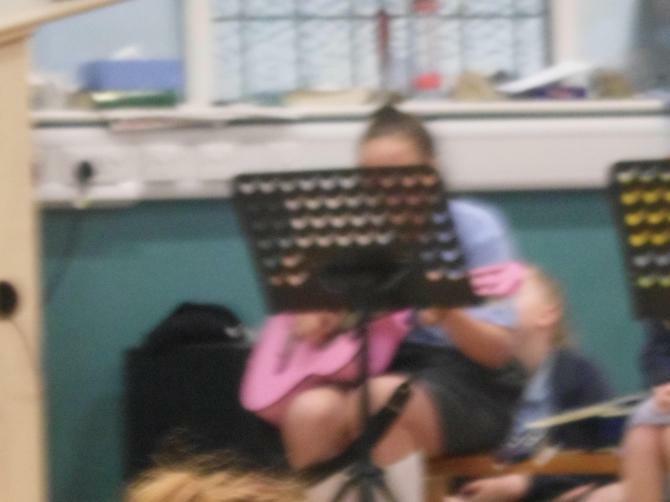 It is better to practice 10 minutes every other day to learn at a faster pace.